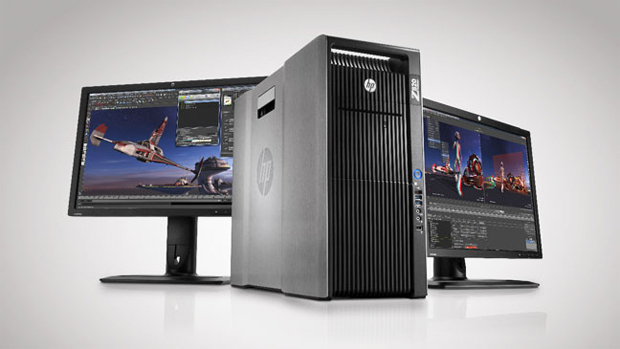 I have to speak up about the Hewlett-Packard z820 workstation. As a product reviewer, I need a robust machine to test things like the NVIDIA K5000 graphics cards, the Caustic R2500 card for raytrace acceleration or FusionIO cards for data throughput. Also, as an effects artist, I need a workstation that I can really hammer with fluid simulations or 11K comps. Yes, 11K! The z820 is crazy powerful at its base model, but I have it suped up to epic proportions. But first, let’s talk about the design. The chassis’ elegance must have taken a cue from Apple. I love opening this workstation up. Sometimes, I open it up simply to look at it. If I need a screwdriver, I’m probably doing something wrong (or very technical). Each compartment is protected by panels that snap out with a click, and they are easily changed or replaced. I actually put in new graphics cards with one hand. I was setting up a simulation on another machine, and while I was doing that I was swapping out a graphics card in the z820. Yes, I’m a total multi-tasker! There are lots and lots of slots on the motherboard for expansion, plenty of bays for drives (SATA or Solid State) and 16 DIMM slots to give you up to 512GB of RAM. That should be enough for most tasks. And a selection of Xeon processors can fit into the dual slots capping out with a E5-2687W running at 3.1Ghz with 16 cores. There are ports all over this thing to plug in as many USB peripherals as you should need, and there are a few more on the inside if you plan to mount a card reader or something into one of the bays. Lastly, there is the idea of “pollution,” both acoustic and energy. The z820, as most of the HP line, pays attention to this. The z820, for all of its power, is really quiet. Due to the configuration of fans, airflow is strictly controlled and maintained with constant monitoring, the noise is kept to a minimum. And with the NVIDIA K5000’s lower power consumption, they keep things whispery as well. With that mentioned, the HPs also are EnergyStar qualified, running with a 90 percent efficient power supply. That means less power, less heat and less noise. If you are an animator or texture artist or even a compositor, you might not need quite this much muscle. And there are definitely lighter HP models that have similar specs with less oomph. But if you are simulating buildings falling or giant robots fighting monsters in the ocean, you would be wise to check this one out. And then bill the production! 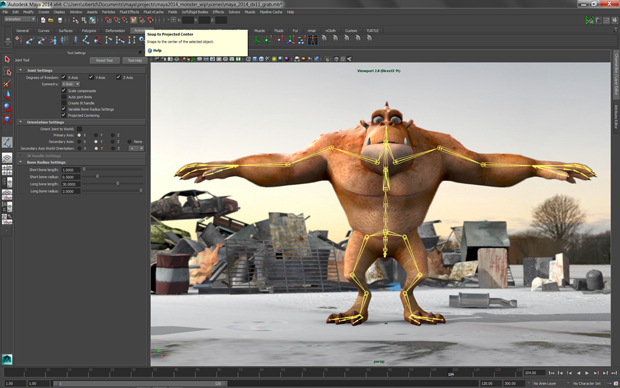 This year, 3ds Max didn’t receive as much development love as its adoptive sibling, Maya. But, it certainly did make some strides. I think the most critical development has been opening Max up to Python. As much as people have been able to use the Max SDK for plugin development and MAXScript for tools, to be taken seriously on a wide production level, it had to be able to talk with Python. Python is absolutely the tool of choice for pipeline development in animation and visual effects facilities. Everyone speaks Python. And now Max does as well. It’s not shiny or glamorous, but it’s oh-so important. Like numerous tools in Maya 2014, Python is available with a subscription package. Max now can also bring in huge point cloud datasets. More and more often, sets, characters and props are being scanned during production. In their raw state, these scans are represented as points, and all that data needs to be processed into a workable mesh. Point can be used for snapping during modeling, or the data can be pared down to only the necessary parts and sent off to Autodesk’s Recap to get a model back. For particle work, the MassFX dynamics engine has been mushed into Particle Flow as mParticles with the result of having a once “dumb” particle system (dumb = “doesn’t use physics”) now behaving as a true simulation. The workflow is similar to Particle Flow, so PF guys shouldn’t have a problem adjusting. Additionally, there is a Data Operator node that really allows you to get under the hood of the simulation to make magic happen. 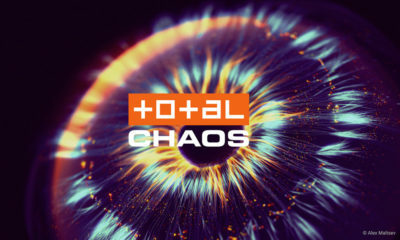 The Data Operator workflow resembles other familiar node-based systems like Houdini, Thinking Particles, Ice, and Thinkbox’s Magma within Krakatoa. A simple crowd system called Populate provides a fast and efficient way to place moving and ambient crowds into an environment. By drawing paths of traffic flow and areas of idle, you can place a bunch of people and dynamically have controls over things like density and male to female ratios. It’s not a replacement for a true crowd simulator, but it is totally applicable for wide aerial shots or architectural previsualization. Other, less fancy, but still powerful advances include: Support for vector maps, like Illustrator, which allow for resolution independent and keyframe-able textures. A Perspective Match tool for quickly orienting a scene to photography for building CG extensions and the like. And, a Pan and Zoom tool which locks the perspective to the background plate so you can zoom in for fine adjustments to models or during hand match-moving. These are all very neat features, and they will certainly keep the Max guys in Max. Still, I don’t know if there is enough to convert others. Chronosculpt allows you to take features found in ZBrush or Mudbox, and use them on a model…over time. The applications are as many as you can think up: Fixing misbehaving skins on an animated character. Creating variations on a model to make a crowd…after the animation is baked. Adding bulging muscles or straining tendons. Fixing interpenetration in cloth simulations. All without reanimating or re-simulating…with dense models into the millions of polys…coming from a number of cache types. Yes, ChronoSculpt plays nice with not only Lightwave’s caches, but Autodesk and Alembic as well, which makes it a tool usable in non-Lightwavecentric pipelines. Sheer joy! But it doesn’t stop there. Since rigid-body dynamics are also like caches, you can use the Chronosculpt tools to pin down jittering debris, push pieces or groups of pieces around, animate stubborn debris that didn’t move right, or even lock down that chunk of rock that the director wants to stay put. Again, without simulating. One outstanding question I have at the moment is, “Will it work with dynamically changing topology”…and I’m planning on doing some tests with that – because sculpting water simulations would be…in a word…awesome. Oh, and before I wrap up, Chronosculpt can edit or retime caches and combine multiple caches. That’s right, Zack Snyder, time-ramp your movies all you want…Ugh! At $399, Chronosculpt is a bargain. At the time of this review, it’s in pre-release for Windows, but OSX and Linux are hot on its tail. With this year’s release of the 2014 Entertainment Creation Suite and its subsequent extension and subscription releases, Autodesk has made some great advances in its toolset—most substantially in Maya this time around. The most significant leap in technology, in my perspective, is the most recent one: The integration of Disney’s open source technology, XGen. The best example for this is Rapunzel’s hair in Tangled, as well as all of the forest and foliage. I’m sure it’s going to be prominently displayed in the upcoming Frozen as well. This tool is an “arbitrary primitive generator,” which means you can make lots of things to recreate complex scenes in a controllable way. Using guide curves or locators, one can place instanced geometry onto surfaces in the scene—be it a head for hair, or a ground plane for a field of corn, or a head for a field of corn. Those instances can then receive parameters to “groom” the look and randomize to increase the level of complexity. The upside is that this is super powerful. The downside is that it doesn’t come bundled with the base product, but rather comes with a subscription. I don’t see this being a hurdle for too long, however, since Autodesk is looking to Adobe’s subscription model for their products in general. The next crazy leap is in Maya’s modeling toolset. 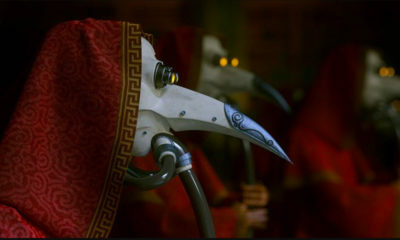 Historically, Maya’s modeling tools haven’t been the strongest in the industry. I’m not even going to listen to counter arguments; they just haven’t. Max and especially Modo had better tools. Not anymore: Maya has incorporated a whole new set of tools for dynamic modeling and edge loop control. 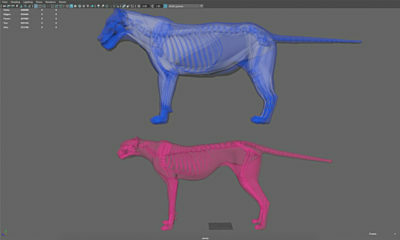 Most specifically, the QuadDraw tool provides powerful retopologizing features, which has become an undeniable stage in character pipelines to be able to allow digital sculptors to do their high-res magic, but still maintain a light mesh for animation, dynamics interaction and rendering. Smaller, but definitely handy, advances include a Grease Pencil that allows supervisors and directors to draw on frames right in Maya to indicate direction in composition, action, silhouette, posing, etc. 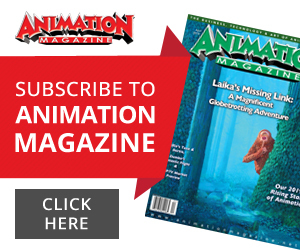 This is super handy for guiding the animators. Other tools include: a Scene Assembly workflow to optimize a scene by quickly changing what kind of asset is being used (full resolution, cached or proxy locator), the Node Editor has been revamped and actually is usable. 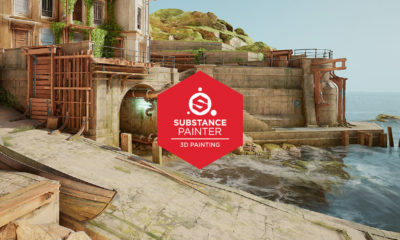 Paint Effects has surface and collision features to wrap vines and plants around objects but avoiding problems like interpenetration. And one footnote: The Maya SAT (Small Annoying Things) project, which focuses on those little tidbits that have gone unchanged for years, like Panning in the Outliner. I suggest you go participate in the Small Annoying Things forum. 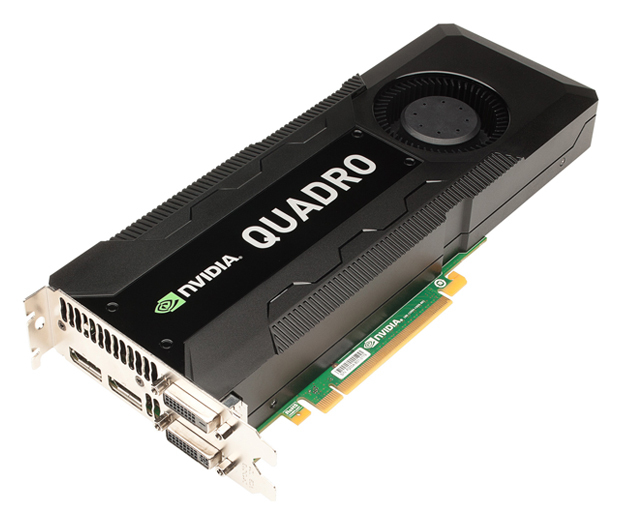 Earlier this year, NVIDIA came out with its latest professional graphics card, the Quadro K5000, upgrading the previous 5000 running on the Fermi GPU architecture into the Kepler technology (the “K” in K5000), while also updating the chip, the number of CUDA cores (basically, little programmable processors optimized for parallel processing) from 352 up to 1,536 and bringing the memory up to 4GB. So what does all that mean? It means we now have a pretty darned robust piece of hardware which is outranked only by its recently released bigger brother, the K6000. The K5000 also has four video ports coming out of it. With two cards, that means I could drive an array of eight monitors and using NVIDIA’s Quadro Sync and Mosaic (which supports up to 16 displays if you had four cards) to generate one huge image at a crazy high resolution…with GENLOCK if I wanted to do a multi-camera, multi-graphic live presentation with a switcher. Sadly, I only have one monitor and cannot create such magic. But I could. The serious attraction of the K series, for me (and presumably you), is the memory capacity and the speed. 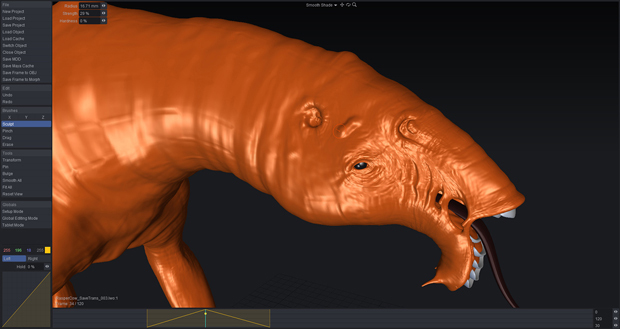 We want our 3D programs to be snappy, no matter how much we throw at them. We want our 2D tools, like the GPU accelerated Adobe Creative Suite, to fly. It’s the combination of 4GB of RAM to hold our textures while we paint in Mari. 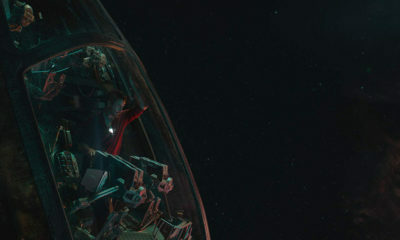 It’s the thousands of CUDA cores that Houdini will use to calculate an explosion. This K5000 delivers. 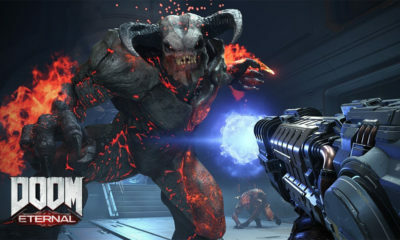 But with whatever new hardware comes out, we, as artists, will invariably throw more at it. It’s part of Blinn’s Law: As technology advances, rendering time remains constant. So, what do you do when the K5000 hits its limit? Well, you can put in an NVIDIA Tesla card in from the same Kepler family. The card retails for $2,200—a healthy sum. But you can find them around for as low at $1,800. If you are serious about creating digital art, it’s a wise investment. Adobe has been a very busy bee of late, preparing all its software to be licensed and maintained from the Cloud, a proposition that has been met with mixed feelings from the industry. But overall, with 2 million-plus Creative Cloud subscribers, I don’t think they are particularly worried about the nay-sayers. As of this printing, Adobe is updating its videocentric software with 150 new features—a number we can’t possibly hope to cover here, but I’ll hit the best of them. The most ambitious effort Adobe has taken on is Adobe Anywhere, with the idea that your source files sit on an enterprise level server, and your workstation or laptop taps into it either through your local LAN or over the web, and you can edit in Premiere Pro, literally, from anywhere. Now your results may vary depending on network and Internet speeds, size of data, etc., but overall it works pretty well. It now goes beyond Premiere Pro and includes After Effects support so that artists can collaborate on shots without having to save, collect and send project files around the world. You simply save the file and send a notification, and the other guy can open it. This centralized methodology makes it easier to control data redundancy and project archiving and restoring. Plus, it even ties into Tablet Apps with Prelude, which is designed to log and organize on-set or on-location data and upload it to the project on the Cloud. That means when the footage gets to the editor, you won’t have any “So what was happening here?” discussions. 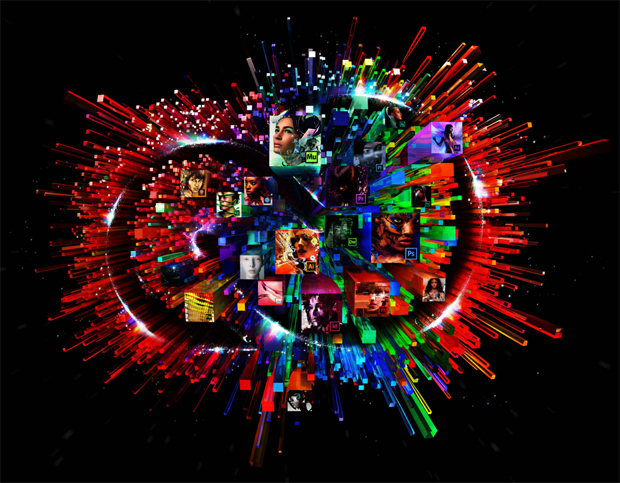 Premiere Pro offers a variety of advances, but most significantly, it now has a direct link to SpeedGrade, Adobe’s color-grading system. You no longer have to export to DPX sequences, or pre-edits. The timeline remains intact, and Speedgrade’s toolset is available for grading with multiple masks and editable “SpeedLooks.” The result can either be sent to Media Encoder from Premiere Pro or Speedgrade for GPU accelerated rendering with additions such as watermarks, timecode, image processing or custom LUTs. After Effects also offers a bunch of new toys. Masks can now be tracked (much like the Mocha Pro feature). Adobe has moved the Photoshop scaling tools into AE for retaining detail and reducing noise artifacts. Now, links can be created simply through pasting parameters, so one control will affect the values of many. 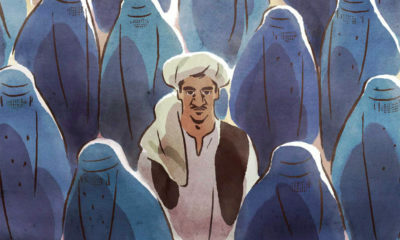 And one last, but very important, word: Integration. I don’t mean between Adobe products. I mean between Adobe and the rest of the pipeline. The development API has been extended to try and make it easier for companies to integrate Adobe products with other software or their own proprietary software. Hopefully, Adobe is handing over the keys to the Caddy for us to drive around. 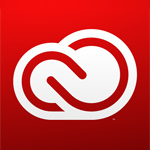 Price: Creative Cloud Membership: $49.99 per month; $69.99 per month (for teams); Photoshop CC: $19.99 per month.